The award winning 'MÉTIS Restaurant & Gallery' in Bali's jet-set Seminyak district are famous for their exquisite French cuisine, fine selection of wines and a gallery with the most impressive collection of contemporary and antique art. To further expand its already famous business, the Métis team are complimenting its roster with the opening of a new Lounge. The new Lounge, designed by the famous Artalenta Indonesia, Architects and Interior Designers, is situated directly behind the restaurant overlooking a beautiful water lily pond and garden and features a truly unique and trendy ambiance. The Lounge menu, distinct from the Métis Restaurant menu, is accompanied by an exquisite cocktail list using only high end spirit brands like Beluga Vodka, Patrón Tequila, Dom Pérignon and Cristal Champagne. In addition to great cocktails and delicious tapas, a top-notch entertainment line-up gives the Lounge an international feel. 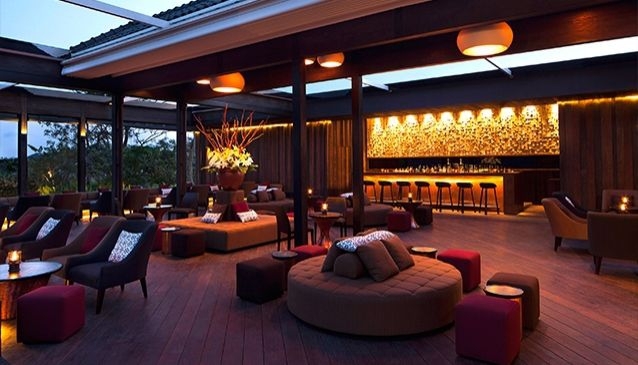 The high-tech retractable roof ensures that great times continue even during the short but unpredictable rainy season. With the new Lounge, MÉTIS offers a 360-degree concept that is one-of-a-kind in Bali and caters to all the latest trends. The venue offers the perfect start to a great night at MÉTIS Restaurant, or simply a stop-over while planning a tour of Bali's nightclub scene. MÉTIS Lounge is destined to be Bali's next 'not-to-be-missed' hotspot.